Being outside in the wilderness and having unique experiences can have a tremendous effect on the mind. The feeling of fun and excitement that people have outdoors can transform their mental state and change the way they view the world. Our intrinsic connection to nature and our desire to experience novelty can make adventure therapy a very effective treatment for all kinds of mental health issues. Adventure therapy is a very distinct kind of psychotherapy that employs the use of experiential education to help people with symptoms of various psychological and behavioral issues. It is an alternative kind of therapy that can be used in connection with regular talk therapy to get more immediate results. Adventure therapy is known to have positive outcomes in improving self-esteem and pro-social behavior. Although this kind of therapy can be effective for any age group it is often useful in helping young people who are dealing with behavioral issues or social problems. The physical and emotional challenges of activities in the the wilderness can help people build confidence and learn to cope with difficult situations. It offers people a way to quickly experience personal growth through facing risks and actively solving problems. The main principle of adventure therapy is that the opportunity to be outdoors in nature can be healing for a person’s mental and physical health. The combination of being outdoors in nature and having an “adventure” experience gives people an immediate boost in mood and a rush of positive feelings. When mental health professionals guide patients through these adventures they can employ certain tactics and strategies to help them change some of their negative beliefs or behavioral problems. Outdoor adventures are a way to engage patients on many different cognitive, affective and behavioral levels. There are many health programs that allow people to spend time outdoors and safely experience adventure therapy with the help of a professional therapist. Clients in these programs, especially young people tend to have very positive results that last well after they leave the treatment program. 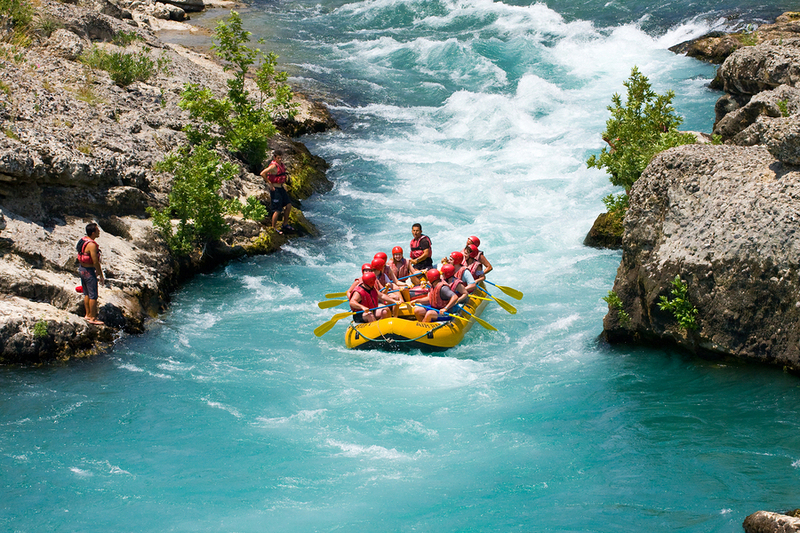 Some of the activities that may be included in an adventure therapy program might be things like rock climbing, white water rafting, rappelling, canoeing and other options. Along with engaging in these activities regularly, many programs allow patients to live in the wilderness for a period of time which in itself can be a positive challenge. Camping out or “roughing it” can be another great way to be immersed in nature and get out of your comfort zone. In these outdoor health programs, clients are doing more than simply enjoying these fun but challenging activities. Therapist will guide them through the process and incorporate elements of psychological treatment into their experiences. Patients are encouraging to journal about their experiences and try to retain what they’ve learned in the wilderness to apply it to their own personal life. Clients in an outdoor program will typically have follow up therapy sessions after they go through an adventure with the rest of the group. They can then talk about their experience, what they learned from it and how it affected their mood. The therapist can help them to understand how these activities can improve their behavior and change their mindset in their daily routine. The programs can be healing but they can also challenge participants to develop important qualities such as responsibility to themselves and others in the group. Clients can learn to rely on each other for safety and survival and start to feel less isolated from others. They learn to cooperate with one another and use group dynamics to make through every challenge together. Patients also learn valuable survival skills that can help them feel more confident about their ability to face unpredictable or risky situations. They will feel stronger and more resilient after having gone through these activities and learned important lessons. It can be an amazing and transformative experience for teens who are struggling with personal issues at school or at home. Anyone who needs to have more challenging and life-affirming experiences can benefit from attending an adventure therapy program. They are designed to help people who feel stuck with whatever problems they are having in their personal lives. If simply attending regular psychotherapy sessions does not seem to be allowing you enough progress then adventure therapy may be a good solution as an alternative therapy. While adventure therapy is often geared toward teens and young people, there are also options for people of all ages. No matter what type of personal struggle you are dealing with whether it be a mental health disorder, addiction problem or other issue then adventure therapy can be useful in improving your health. The experiences we have in nature can transform us mentally, physically and spiritually for the better.